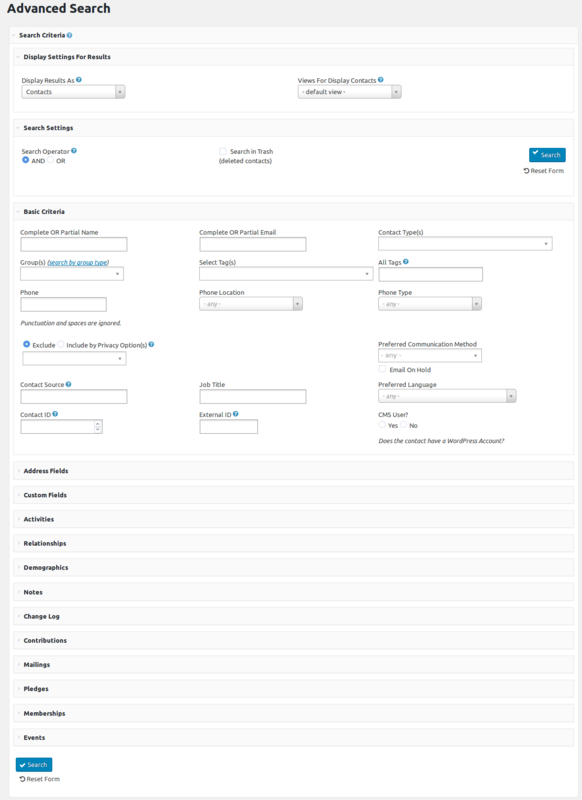 On the top CiviCRM Admin Appearance, has two options to apply WP admin styles to the CiviCRM Admin Menu and the dashboard itself. Leave these deselected to retain the default CiviCRM css. The second section under CiviCRM Style Sheets provides options to enable or disable CSS, including the default CiviCRM as well as any custom CSS file you may use and define if it's applicable to only the admin or the public pages, meaning only affecting contribution and event pages, as well as profiles available to the public on your website. 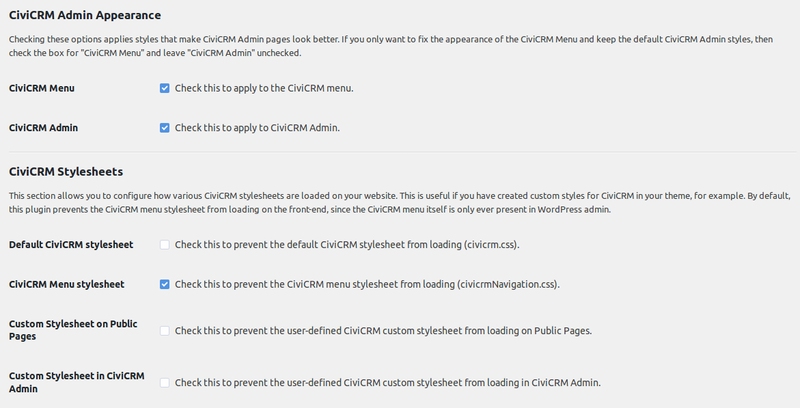 If both options are selected in the first section, the CiviCRM Admin screens look a lot more like the WordPress admin screens. When viewing a group of contacts, the table heading sticks at the top so as you scroll down. It even uses the WP color you may have selected for your admin screens! This is so incredibly great--thank you!! Christian is a huge asset to the WP/CiviCRM community. Yes we love this plugin! Can this code be merged into civicrm for wordpress core? Absolutely great plug in. We use this for all our WordPress clients now, and activate the theme. Nice work!